Renewing your passport can be an overwhelming process since you likely received your password five or 10 years ago. If your passport is up for renewal or you’ve had a special change with your passport, here’s how to get it done. If you are wanting to know how to get your first passport, please see our definitive guide for getting your first U.S. passport. renew your passport (quickly): Need your passport renewed in as little as 1 business day? Click here for more information. What Happens to My Old Passport? Renewing a Passport Outside the U.S. The difference is fairly simple: if you already have a passport and meet the renewal requirements, you can renew your passport by mail instead of in person. In fact, these are the only two options for getting a passport in any case. Note that renewing your passport will cause any travel visas you have to be nullified, so plan your trips accordingly! Hot Tip: For more info on visa requirements, check out our piece: Do I Need a Visa? 100+ Countries with Tourist Visa Requirements for U.S. Citizens. Unfortunately, if you were looking for passport renewal online then you are out of luck. 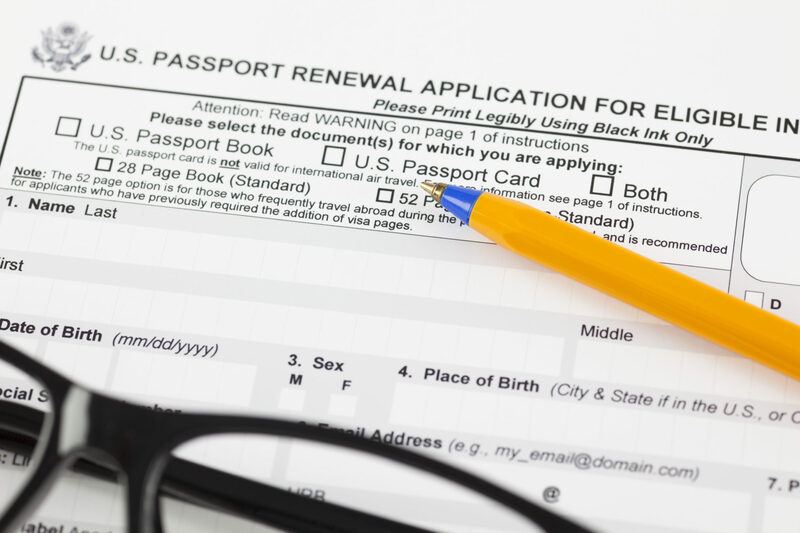 You can fill out the renewal form itself online, but the form must be printed and mailed. Note: There are trusted Government Registered passport courier services that expedite passport renewals in as little as 24 hours. If you want to be eligible for the mail renewal, then you must meet a few requirements. Luckily, the information will not be as extensive as it was when you applied for your first passport. If you do not meet the above requirements, you must renew your passport in person. You must submit an updated passport photo of yourself from within the last 6 months. The full requirements are on the U.S. State Department’s website, which also includes tips on places to obtain photos. In general, the photo must be a color 2”×2” photo in your normal clothes. You can typically have these photos taken at nationwide pharmacies and larger retailers like Walmart and Target. Photos cost between $6-15. However, unlike before, where you may not have stapled your photo to the application, you must staple one photo to the form. 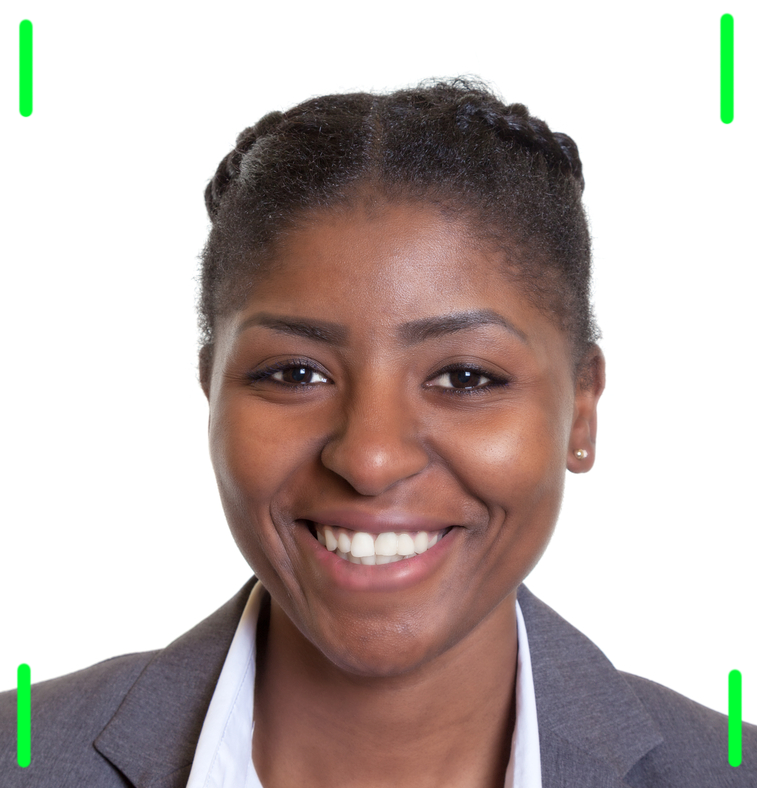 Once you take that new passport photo, be sure to only staple it with vertical staples in the corners as shown or you’ll have to send in a new photo! Note that while you don’t have to renew your passport at any specific time (i.e. before or after it expires), you should be cognizant of the time it will take for renewal when planning your trips. 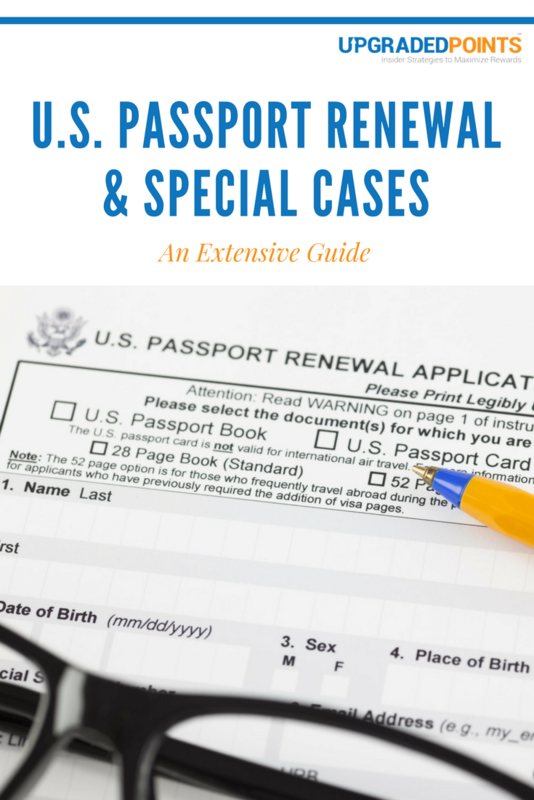 See the Renewal Tips section for more information or if you’re specifically interested in information related to expedited passports, see our Guide to Expedited U.S. Passport Applications. Renewed passports have the same length of validity as original passports. If you are 16 years-of-age or older when you get your passport renewed, it will be valid for 10 years. If you are 15 years-of-age or younger, your passport will be valid for 5 years. Your passport validity period restarts at the time of renewal. Therefore, if you renew your passport at 9 years (1 year of validity left), your passport will be good for 10 and not 11 more years. This is the reason why you don’t want to renew too early. Finally, a place where you have an advantage! When renewing your passport (using form DS-82), you will NOT be required to pay the $25 execution fee. You can still apply for an expedited renewal ($60) and overnight delivery ($14.85) if time is of the essence. Paying the passport renewal fee by mail requires using ONLY a check or money order. Unfortunately, you cannot use a credit card or cash. See the applicable special cases section for information on fees. Once you have gathered all necessary items and completed the necessary paperwork, you will need to put it together to be mailed. There are a few things to note when sending in your forms and information. Therefore, it is probably in your best interest to take your applicable forms to your local USPS, UPS, or FedEx store and have them help you choose the right size envelope. This also allows you to order the trackable packaging. Hot Tip: Earn a few extra points with shipping when you use an appropriate business credit card. An example is The Business Gold Rewards Card from American Express. For those of you worried about what happens to your old passport, don’t worry, you get it back! Many people like their old passports for nostalgia’s sake. It’s quite fun to be able to look back at all the various places you have been and see the stamps, some of which are quite neat. Your old passport will be sent back, but separately from your new passport so don’t worry when they don’t arrive together. Certainly, not everyone falls under the “normal” category when discussing passports. You may renew a passport card by mail if you meet the above requirements as well. In fact, you may apply and receive a passport card by mail if you already have your passport and meet the above requirements. Simply follow the procedure above while selecting to renew (or obtain) your passport card versus passport booklet. Your passport card will be valid for 10 years from the date of issue and costs $30. Be sure to check the box to get a Passport Card when you are sending in your application for a card! You can also get both of them at the same time. Name changes are probably the most common special case given names can change due to marriage, divorce, or other reasons. However, this process also is applicable for any corrections, such as being issued with a misspelling or other error in data. For legal name changes, there are two cases: (1) Your passport was issued more than a year ago, or (2) Your passport was issued within the past year. If its case two, unfortunately, you will have to resubmit form DS-82 as if it were a U.S. passport renewal. You can do this at any time during the validity of your passport, however, note that if you are traveling you will need to do this as soon as possible in order to ensure you are not stopped. You must be able to document your name change with a legal original or certified copy of a marriage certificate or other government-issued document of the change of name. If you are not eligible to use form DS-82 due to not having your old passport or due to damage, you cannot submit the legal documentation, or you had your passport issued over 15 years ago, then you must apply in person using the original DS-11. When using the DS-11 method, you will not need to provide proof of your name change if you already have another government ID issued with your new name. You must include your marriage details, however. 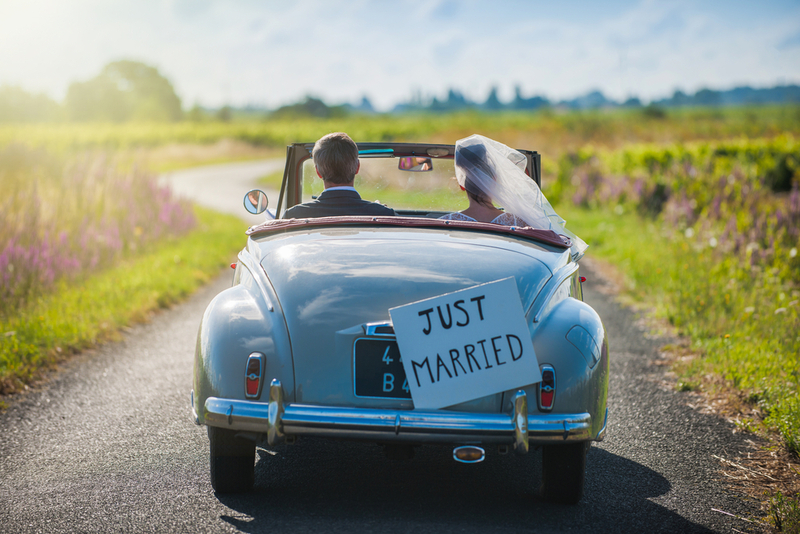 If you are recently married and changed your name, you will need to make sure to update your passport ASAP because you won’t be able to travel internationally without all your documents matching! If you are lucky enough to have case one, or if you need to make any general corrections, you may use form DS-5504 instead of DS-82 and you will not be charged a fee. Note: general corrections can be made at any time using DS-5504. All forms require you to send in your current passport and your legal documentation of your name change. In either case, a name change requires fees if using DS-11 or DS-82 (see the applicable fees for normal applications for renewals). If you are eligible to use DS-5504, you will not be charged. This is an important note for those who pay child support: if you owe $2,500 or more in child support, you cannot receive a U.S. passport. The U.S. Department of HHS has a list of what will prevent your application from being processed. Be sure to stay up to date in order to continue getting passport privileges. Because at this age children are still technically children and not legally adults, there are special rules for getting a passport at this age. Renewing a U.S. passport for a child generally requires you to apply in person using form DS-11. This is because one of the requirements to use DS-82 is that you must have been issued a passport at age 16 or above. However, this does mean that if you want to renew a child’s passport by mail, you can technically do so if your child’s passport was issued after the age of 16 and the child is now 17 years old. At 16 or 17 years-of-age, you can apply for your passport by yourself as long as you have the proper identification and accompanying information (i.e. evidence of U.S. Citizenship). If you don’t have your own identification, you will need to have a parent present that can identify you. Even if the child can apply on their own, it is recommended they have Parental Consent or Parental Awareness when applying. This is simply having at least one parent accompanying the child, or having a signed statement of consent to the issuance of a passport along with a photocopy of that parent’s ID. The appropriate fees apply to those ages 16 and up, depending on if you are using the DS-11 (first time applicant) or the DS-82 (renewal, special case). That is $140 for a book and a card, $110 for just the book, and $30 from the card. A $25 execution fee applies to the DS-11. 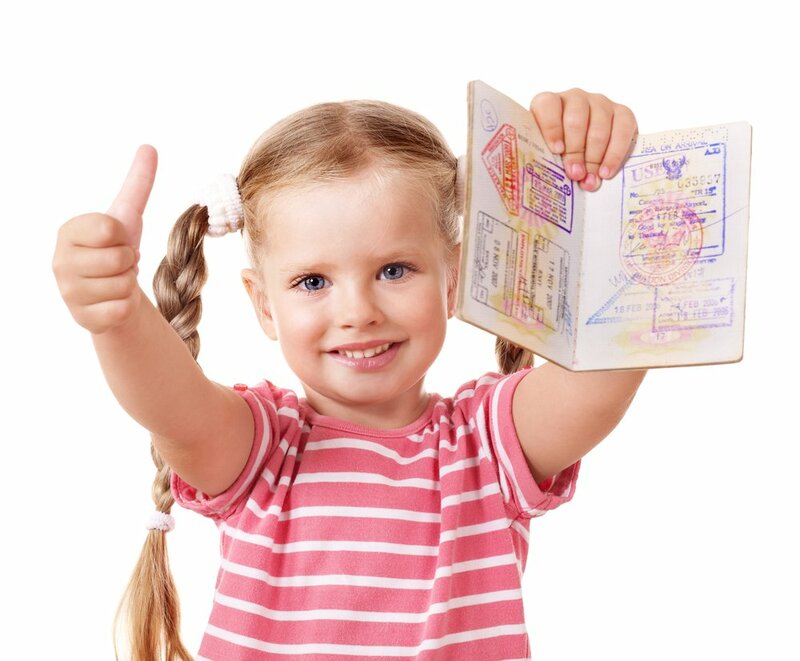 Regardless of having a previous passport, all minors under 16 must apply for their updated child passport in person as if it was their first, following all of the applicable rules. This will be with forms DS-11 and DS-3053 or DS-5525. The same fees apply each time. If you want to get your child a passport (under 16 years old), then you’ll have to apply in person for it and its validity is only 5 years versus 10 years. If you’ve heard of a no-fee passport, you may be wondering if you can get one! You are a U.S. Government employee who is traveling abroad on behalf of the U.S. Depending on what circumstance applies to you, you will need to contact the appropriate agency that you are part of and they will direct you from there. It is of note that you can only use this passport when traveling for official duties. You may have both a regular and a no-fee passport concurrently. In instances where expediting of the passport is not enough, and it is a life or death emergency, you must call the passport information center during business hours at +1-877-487-2778. During off hours, you may call +1-202-647-4000. 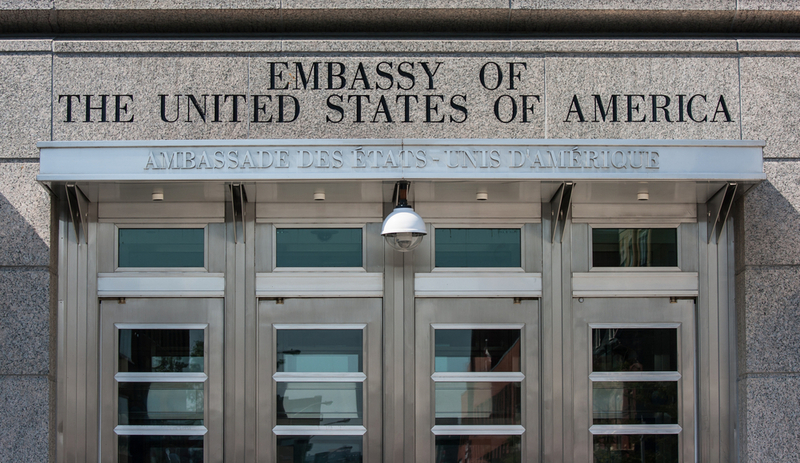 If you are located outside the US, you must contact the nearest U.S. Embassy or Consulate. You cannot add additional pages to your passport book. Instead, you must apply for an entirely new passport. You can do this as a renewal using DS-82 if you meet the eligibility requirements discussed above. If you lose your passport or it is stolen, you should report it immediately. This helps prevent identity theft. Here is one thing you can do online! Submit DS-64 online for your lost passport. You will receive an email acknowledging the submittal and, within a couple of days, you will receive confirmation that the loss was entered into the appropriate database. In lieu of submitting the passport online, you can call +1-877-487-2778 or complete form DS-64 by hand and mail it. Once your passport is reported lost or stolen or is received by someone sending in a found passport, it will be inactivated and can no longer be used. Therefore, if you find your passport after it has been reported lost, you need to submit it to the address on the back of DS-64. If you request it, they will cancel the passport and send it back to you. Otherwise, the passport will be destroyed. The passport also will not be able to be used to renew or apply for a new passport. To apply for a new passport, you must go in person and submit form DS-11 and provide your proof of citizenship again. A limited validity passport is one whose validity date is less 10 years, and is likely provided for special instances, such as losing your passport overseas. If your limited validity passport was issued less than one year ago, you will not have to pay any fees except in the case of expediting. Submit DS-5504 by mail with your passport and a new passport photo. If it was more than one year ago and less than 15 years ago, you may submit DS-82 by mail per the normal renewal application process. Other special cases may be gender transitions or naturalization certificate replacements. See the website for additional information. Sometimes, you may be required to surrender a passport due to a special reason. If you want it returned, you must follow the steps on this page. To renew your U.S. passport outside the United States, you must use the same process as when you first applied for the passport. This means finding and renewing at the nearest U.S. Embassy or Consulate. However, if you reside in Canada, you may utilize the same renewal process as inside the U.S. and use form DS-82. You must ensure that payments draw from U.S. financial institutions. If you live in Canada, you can still apply for an American Passport renewal using form DS-82. You have to draw payments from a U.S. financial institution, however. You can technically renew your passport at any time during its validity period. The new validity will be 10 years from whenever you are issued your new passport. Your passport will be sent back Priority Mail so that there is delivery confirmation unless you choose overnight delivery. Your passport card is sent via First Class Mail and cannot be overnighted. Some countries do not allow you to enter into their country if you have less than 6 months remaining on your passport. Therefore, it is smart to plan ahead and get your passport renewed when you’re about a year out so that you have plenty of time to get it done. If you know you’ll be traveling more in the next 10 years, you may want to renew with a 52 page book instead of the standard 28 pager. You’ll just need to select the appropriate box on the DS-82 form. Some airlines and countries will not allow you to travel if you have less than 2-4 blank pages. If your passport has been significantly damaged, you will need to apply for a new one. This includes water damage, tears, unofficial markings on the data page, missing (torn) pages, punches, and more. You will need to reapply for a new passport using DS-11 and apply in person, and provide all required documentation as well as the damaged passport. If a loved one has passed away, you may submit their passport for cancellation by mailing it in. If your passport has been reported as being sent out in the passport application status system, and you have not received it, you should report it the National Passport Information Center. If not reported within 90 days the passport was officially issued, then you will be required to reapply and pay all the applicable fees. If you’re using a passport card for expedited travel from Canada or Mexico, everyone in your car over the age of 16 must have an RFID-enabled card. The passport renewal form is DS-82. You must already have a current passport and meet other requirements to use this form. There is no passport application online at this time; you must instead print and fill out the passport renewal forms and either take them in person or send in by mail. You’ve got your passport renewed or changed! Now, grab your travel rewards cards and get ready for another trip. The following links will help you get started. What information do I need to renew my U.S. passport? You must have your old passport (it must not be damaged), a new passport photo, and the appropriate form. If you are renewing to change your name, you must also submit legal documentation proving your name change. How do I get or renew a U.S. passport online? Unfortunately, there is no U.S. online passport application at this time. Passport renewal forms can only be submitted in person or via mail (depending on the form). Online passport renewal may be offered in the future. How do you get a U.S. passport for a child or minor? The U.S. passport application for minors is different depending on your age. If a child is under the age of 16, both parents must be present and you must apply in person using form DS-11 and DS-3053 or DS-5525. If the child is of age 16 or 17, they can apply in person themselves if they can provide their own documentation and identification. How long does it take to get a U.S. passport renewed? Passport application renewal takes the same amount of time as a regular passport takes. Approximately 4-6 weeks for a standard service, 3 weeks for expedited service, or up to 8 days for agency expediting. How much does it cost to get a U.S. passport renewed? Passport application renewal costs the same amount as a regular passport, whether you are a minor or an adult. However, you don’t have the pay the $25 execution fee again. What is my U.S. passport renewal application status? You may check your passport application status on the Department of States website. This is the same website you used to check your original passport application status. How long are renewed passports good for? The validity period for renewed passports is the same as it was for your original passport. An adult passport (above age 16) is good for 10 years from the date of issue. A minor passport (age 15 and below) is good for 5 years from the date of issue. What forms do I use for passport renewal? If you are eligible, you may use form DS-82 and send in your renewal application by mail. If you are not eligible to send in the application by mail, you must use form DS-11 and apply in person. If you are making a change or correction, you may use form DS-5504. If you are a minor under the age of 16, you must also use form DS-3053 or DS-5525. How do I renew my passport card? Your passport card may be renewed by mail using form DS-82 if you already have a valid passport. You may also use this form to obtain your first U.S. passport card as well. How do I replace a lost or stolen passport? Lost or stolen passports must be reapplied for in person using form DS-11. You must provide proof of citizenship and pay the applicable fees, including the $25 execution fee. FYI – one of your links appears to be outdated. The link sends to a page that reads: “The page you’re looking for may have been moved or renamed” (though it’s still linking to a general State Department site). I think this is where you wanted to link. Either way, appreciate your site. All seems accurate. I would point out that all of the same information seems to be available directly from the State Department. Not a big deal, as long as you’re accurate. So, thank you for getting me going in the right direction. Under your FAQs, you state passports will be delivered by priority mail but you don’t state whether the post office will go ahead and deliver them if you are not at home to sign for them? Hello Seva. I do not know if this is always true but I can tell you that my own passport was delivered by priority mail and I did not have to sign for it.